Hi everyone. I've been a member on here for about a year now. I first joined one of the lectures, Steven Youell, I saw posted. Then Rudy invited me to The Magician's Forum and even to the Inner Circle. Wow, what an honor! I have enjoyed posting and reading various posts and watching other lectures and Saturday Sessions. These are great experiences. I first got into magic when I was 6yr old, watching some magicians on TV. I believe Copperfield was the first one I had seen. I recall seeing Franz Harary around that time also. I was hooked. 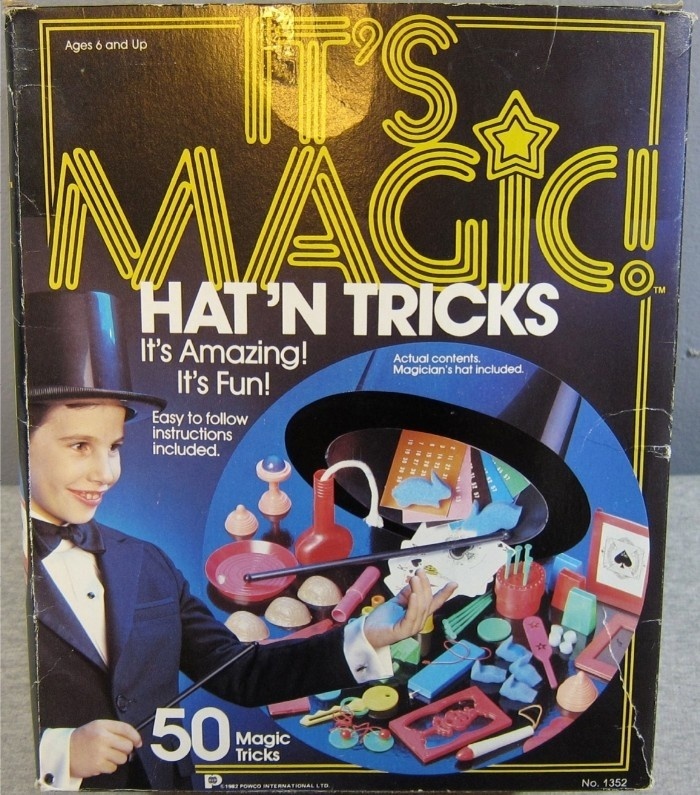 I had played around with cards from then on, and bought a It's Magic Hat'N Tricks 50 magic tricks when I was 7 or 8. I still have some of those pieces. So, I've been into magic for 34 years. I was never exposed to other magicians, like at conventions or anything. I had to teach myself how to riffle shuffle and other basic card moves. I actually was able to learn Crazy Man's Handcuffs from watching one of the World's Greatest Magic shows on TV, even with the move actual move happening off camera, I was able to figure out the handling. I attended Abbott's in Colon, MI when I was 15 to see an evening show, and I've been attending the full convention almost every year since. I've met so many great magicians since then. I have enjoyed brainstorming with so many of them and helping with input on routines they are working on. I've learned so much from all of them also. One of my first magic books I bought was "Dunninger's Encyclopedia of Magic". I read through the entire book, cover-to-cover. At some point later, I had bought "Mark Wilson's Complete Course on Magic", and read that cover-to-cover. Later I got The "Secrets of Brother John Hamman" in 1996, which I also read through cover-to-cover. This is and has been one of my favorite books on magic. The Two Card Trick is one of my top favorite effects that I enjoy performing. In college, I had attended Western Michigan University and discovered The Timid Rabbit Magic and Masquerade Shop. The owner, Antony Gerard has hosted many lectures and workshops until the weeee hours of the morning, like sun coming up. I've learned so much from him. I also had formed a club with a friend on WMU campus called Kalamazoo Magic Society. We would have meetings with other students and teach some basic concepts of magic and have an audience for us to practice new routines. Then I moved to Ohio in 2002 and started attending the Magi-Fest, but still also making sure I attend Abbott's. I have a magic prop making business, K&F Productions with another magician in Columbus, and my own business Magic TK Productions. Basically making some custom props for magicians as well as a few of our own products. So, that is me in a nut-shell. Nice to know more about you man. A (belated?) welcome to the forum I guess...although you've been here almost as long as I have. I'm so glad that you took the time to share a little about yourself. Thanks! I'm impressed that you were able to learn crazy man's handcuffs, by just watching it on tv! Impressive! I hope we'll be reading more posts from you. Have a great day! We joined the Forum the same day ... that makes us brothers or something! Tony Gerard is a great guy and a great magician - and a fountain of knowledge. Looking forward to getting to know you here. Welcome to the Forum Tom! I also learned the Crazy Man's Handcuffs from a TV program. It was in 1986 when David Copperfield did his special in China. I recorded it on a Beta tape and saw it 3 times and I was able to figure out the handling. I have done that effect ever since. I haven't been able to get Crazy Man's Handcuffs after watching Ammar teach it, so, color me very impressed. So great to read about your start in magic and how it has became such a prominent part of your life. I haven't done an introduction yet, so I might follow your footsteps and do one a year later, haha. I hope that you will enlighten us with your thoughts on our craft!